I called this card Hello. A couple of techniques were used. a shine. 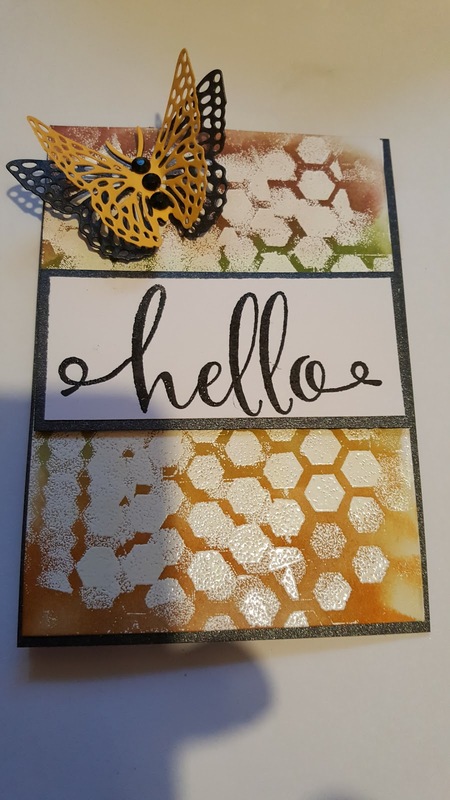 I mat and layered the card using white and black card stock. 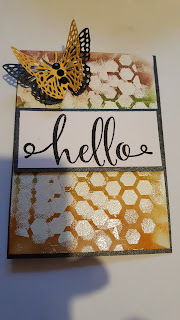 I added the sentiment across the centre of the card and added a butterfly with black rhinestone for extra detail.